What’s up everybody? 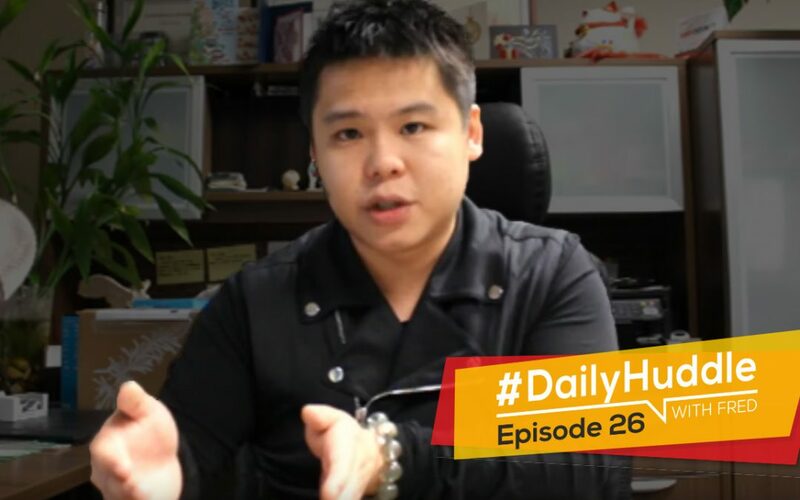 Fred Lam here and welcome to our daily huddle episode number 26. Today, I’m actually a little bit earlier than I normally have my daily huddle only because I have an amazing workshop only for my members inside Zero Up so I apologize that I have to come on earlier for those of you who are going to miss out on my daily huddle. With that, if this is your first time joining us for our daily huddle; my daily huddle is all about me answering five burning questions that you may have for your ecommerce business, affiliate marketing business, digital publishing business or whatever business you have and that is every single day from Monday to Friday. I’m just going to share my feedback with you to actually get you unstuck and to help you with your business. If you want your question to be featured, all you have to do is simply go to www.fredlam.com/ask and in there you’ll see a form, fill it out and your question will get featured eventually in our daily huddle. If you are excited about our daily huddle today, put in the word EXCITED into the comment box on Facebook and in the live chat on YouTube right now. Before I go into that five questions, here’s what’s going to happen right after I answer the five questions for today during our daily huddle, I’m going to raffle again to see if who is going to be the winner of a trip to Vancouver. The person who was selected and had the order ID never got back to us, so what does this mean? He is basically eliminated and I am not going to honor it because it is already passed the deadline that I offered. Again, today I’m going to do a raffle for the next person who will be eligible to win a trip to Vancouver, meet me in person and actually spend a full day with a one on one consultation with me. If you are anticipating this put in a ME right into the comment box below or into the live chat on YouTube. Before we go into the raffle, I will answer the five questions right now. 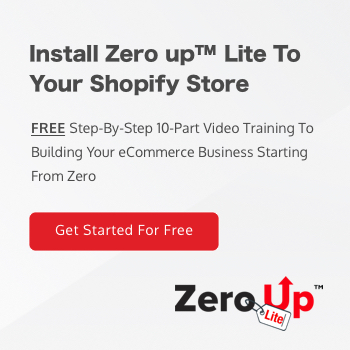 As you can see one of the questions is about Life Time Customer Value (LTV) and it is a goldmine when it comes to a Shopify ecommerce site. I want to address this and I want to share with you how important it is for you to have this in your business. [0:03:54] Question 1: Could you please explain what it is, how you can measure it and strategies that you use to increase it? What strategies are you personally using in your business to increase LTV? You mentioned Lifetime Customer Value (LTV) in your Daily Huddle. Could you please explain what it is, how you can measure it and strategies that you use to increase it? What strategies are you personally using in your business to increase LTV? First of all, let me address the elephant in the room first. What is LTV? LTV stands for Life Time Customer Value. Let’s say that if customers come to your door or store and they buy a product for $10. That is not the Life Time Customer Value because this is the first initial contact you have with your customer, chances are if you had the right strategies and infrastructure in place then what’s going to happen is that you can actually make more than $10 from the first customer who comes to your door to pay that $10. Let me share this with you from a retail perspective that I always use and I love this perspective which is the McDonald’s analogy. I’ve shared that to the public before and I’ll share with you guys once again. If you actually go to McDonald’s you just want to basically buy a burger, maybe a Big Mac. You walk into a McDonald’s go to the cashier and say, “I want a Big Mac.” Guess what? The cashier is going to ask you, “Do you want fries with that?” And I can guarantee you majority of you guys have been asked that question and by asking that now you are being sold another product. Originally, you are going in to just buy a burger and let’s say it’s going to be $3 but when the person asked you, “Do you want fries with that?” And just by simply asking that question McDonald’s is able to actually make more money from you. Originally you may be going to McDonald’s for just spending $3, now you may be spending $4.50 if the fries costs $1.50. So, your Life Time Customer Value got increased and that is just in the initial point of contact you have with your customer. So this actually applies to ecommerce. You have to figure out 1. if you’re selling a product, and let’s say you’re selling a bracelet over here for $10. What you want is that the $10 should be enough to pay for the cost of goods and enough for you to actually pay for the ads that you have invested in. Then what you have to do is to implement strategies to increase the Life Time Customer Value or in the initial Average Order Value (AOV). So in the initial, you have to do upselling, couponing to get those people come back to buy more products from you. Now, that is only on day one. And you are not in business just with a customer who wants to come and buy your products only on day one. You have to set up a customer journey. Let’s say that the person actually came to my store and bought the bracelet. I know that they bought a men’s bracelet. You have to basically start building a relationship with that customer who came in to buy that product to offer more products down the road. What you typically do is to have a 30-day strategy in place. Nowadays, large companies use one year; for us a smaller company and medium size company for you guys especially, 30 days is going to be the perfect window. So you want to monitor in the next 30 days if these people are coming back to your store to buy more products. People won’t basically remember your store’s name. There are so many stores online right now. They bought a product from you and they may have forgotten about you, so your job is to actually stay in front of them to sell them more products and make sure that they came in day one and spent $10 and 30 days later they may spend a total of $100. That’s where the money comes in place and it’s from the back end, the back end funnel. So, when the customer comes in and this is where a lot of you guys are focusing on right now, finding a product and letting it to come in but a lot of people are missing out the back end funnel which is where you make majority of the profit because your ad already paid for that customer to come in. The cost of this product already paid for the ads; you already have a customer who gave you their credit card. Your job is to figure out from day number two onwards, in the next 29 days on how to get them come back to buy from your store. I was actually looking at one of my stats before I come online for our daily huddle, I have a customer repeat rate of over 25%. So one in every four customers comes back to buy from me in 30 days. Guess what? All these customers are basically in place. I get to keep a healthy margin in that. When it comes to strategy, here’s what you have to do. There are a couple of steps that you need to actually work on and a couple phases. Phase number one and especially if you’re a Zero Up member, you have access to all of these. Phase number one is obviously you want to test out the product and I keep telling you guys that you need to find that product that will give you a break even or basically some net profit. With that, once you actually test that product and have that product page up then you move in to phase number two. In phase number two you have to have a landing page in place. You have to text a landing page versus a product page and see if the conversion stays the same or it get increased. Once you have a landing page, usually the conversion does increase. That’s going to make you more profit because you know that you’re paying for X amount of conversion on the product page. If you increase the conversion rate on your product page you’re just going to make more money. Once you tested that then you have to test upsells and that’s phase number three. You have to test one single upsell. Let’s say that if I’m selling this bracelet, I may sell a matching necklace or whatever accessories are there. You have to test that out and see what the conversion rate looks like and then you move into phase number three which is simply having an additional upsell. I won’t suggest you to have more than two upsells. It will annoy the heck of your customers and they will be angry and won’t buy from you again. So, don’t have more than two upsells. Now you’re increasing the value of each of the customer that is coming in. 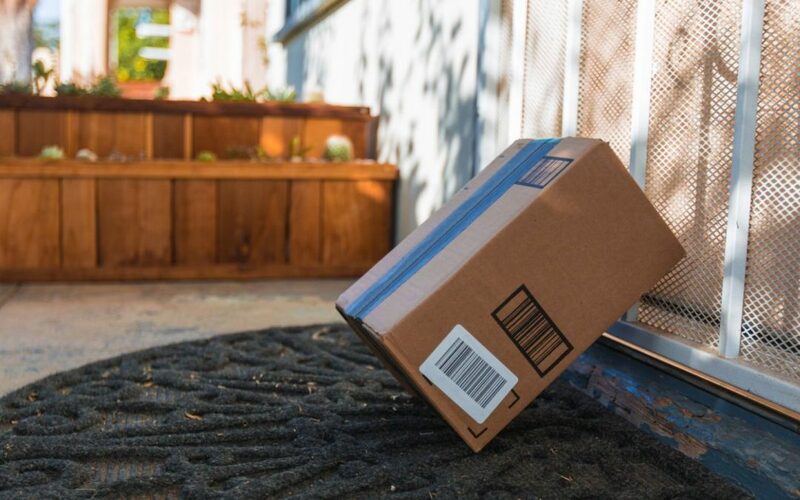 Originally, in phase number one you maybe breaking even for a $10 product and you’re going all the way to phase number three, you may be potentially sell a total average order value of $30 to $40, so it’s 3 to 4 X already of the original price. It doesn’t stop there. When they finish the transaction, you want to offer them a coupon to get them to come back to your website and buy. That’s all happen within day number one. In day number two, all the way to day number 30, you must have the following in place. 1. 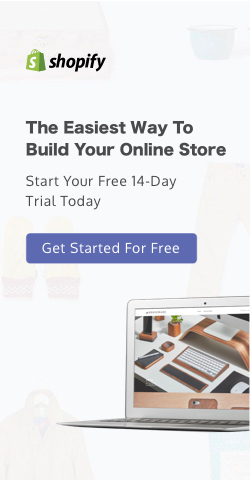 Set up a specific retargeting list based on the product that the person actually bought. Let’s say that they already bought this bracelet and I know that anyone who bought this bracelet maybe interested in another product that I have in my store. You can set up a retargeting adjust to the people who actually bought the bracelet and see the new product and only serve that ad to them, so that way you are attracting the person to come back to your store to keep buying and you’re having your brand right in front of them every single day. Now that is only on the ad side. On the email side which is very, very important, you have to basically build a relationship with your customer. You don’t have to build a Walmart where people just go in and buy the product and leave. You have to build a relationship with them. That’s why I always say “go over niche” because you have to give them value, content, and offer them other products that are within your niche that you know your customer avatar is very interested in. 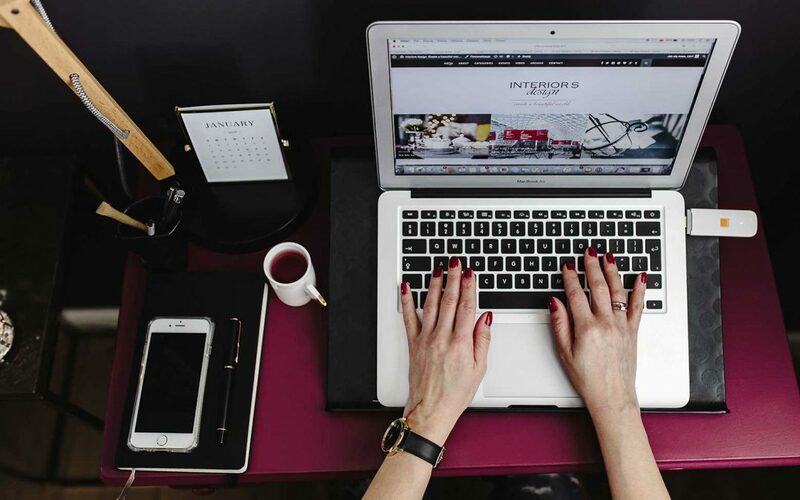 So, in the following from day number two all the way to day number 30, you have to implement different strategies and email in place, things like having content emails or having a new product release. You have to basically offer like a flyer, like a discount so you’re having a sudden discount where a sale is going on. You have to educate them why they need to buy this other product in-hand with whatever they bought. And build the customer journey and have that at play. These are the important strategies that you need to have to increase your LTV. Here’s the important thing that you need to understand, if you want to generate a lot more profit the money is in the lifetime customer value and the higher that you make so the more money that you can actually make per customer through your life time customer value, the more ads you can afford and the more competitive you can be inside the Facebook auction or the Google auction because ultimately at the end of the day we drill down to the core of all advertising network online. They’re simply just auction based companies, which ever can afford the highest CPM will always win the impression and the customer. That’s why right now CPM is rising because people are now pretty educated about LTV. Guess what, the more money is in your LTV, the more aspect you can afford and the more profit you are going to make. Again, it is ignored by over 95% of people who are running ecommerce store because everyone just looks at the front. But the truth is big brands and big companies make all their money from the back end. That’s what you really have to focus at. I hope that really made you start thinking about the LTV. And make sure you craft you customer journey in place. Put in a ME into the comment box whether you are in Facebook or YouTube, if that really gave you a big “AHA moment right now. I live in Australia and just putting my site together with shopify and zero up. I was originally going to sell to Australia and US but in one of your posts you mention that you need a US bank account to do this which i dont have and also next is taxes is a bit scary as im not sure how this works for me. So i have decided to sell only in Australia. My question is, in zero up products seem to be added via zero up and AliExpress in US dollars and not Australian even though AliExpress is set up for Australian $. ? How can this be altered with zero up as aussies would prefer to pay local currency? Sorry if you have time just a quick reply re Australian selling in US would be appreciated. It doesn’t matter if you’re in Australia or UK or wherever. It is best to actually have a US bank account. Obviously that will help you with having everything in the same currency. We don’t have a US bank account but it doesn’t mean that it is end of the day. You can actually have a currency converter on your website. You can still technically charge people on Australian dollars and let the app do the conversion for you on the exchange, so that doesn’t stop you from doing that. Now, I can see that in your post you are basically saying “Can I just sell in Australia only and just bill of Australian”? I know that AliExpress just came out with some new currency feature that you can pay with the local currency but it is not to every single country right now. When are they going to expand it to all? I am not sure and I am not sure on top of my head if Australia is actually in one of their local currency payable features right now. I don’t know what it is, I have to find out. I have the list somewhere but I don’t remember on top of my head. You don’t really necessarily need a US bank account. It is just that what I’m telling you is that it’s wise to keep everything into one currency. But if you’re just in Australia and selling within the country and advertising in Australian dollars then keep everything in Australian dollars. That’s what you have to do. I hope that helped you out. [0:17:22] Question 3: My country Malaysia isn't on Shopify's list but I have a Singappore address and a Singapore account number. Can I use that to receive payments from Shopify? My country Malaysia isn’t on Shopify’s list but I have a Singappore address and a Singapore account number. Can I use that to receive payments from Shopify? The answer should be a yes but this is more of a question for Shopify than me. I don’t have any presence in Malaysia. I don’t have any presence in Singapore but I know that Shopify payment did release in Singapore so if you have a Singaporean address and if you have a Singapore bank account, why not use it, right? It shouldn’t basically stop you from all of that. [0:18:07] Question 4: My question is how do I connect Landing page (or Upsells) to the existing Ad or I should create a new Ad Set in Ads Manager, or maybe in Power Editor? I am using Tiny.ie to shorten the link, maybe re-name? Also, when should we use Power Editor? Moving on to the fourth question. It’s by Nadya Saltykova. Hi Fred, I am running product page Ads and want to test Landing page and later Upsells. My question is how do I connect Landing page (or Upsells) to the existing Ad or I should create a new Ad Set in Ads Manager, or maybe in Power Editor? I am using Tiny.ie to shorten the link, maybe re-name? Also, when should we use Power Editor? Thank you. There are two questions at play right now. The first question is basically, if you’re already running an ad and you want to basically swap the link for your ad. So if you are using a service like tiny.ie, it will give you the ability to go into your link. Once you log in into tiny, look back on the link that you use for your ad and you can change the link or you can even split test it. Tiny gives you the ability to actually split test between the product page and the landing page to see which one drives the highest conversion and the most revenue for you. Tiny is actually built for marketers like this. So you are on the right track. If you’re using tiny use the split test functionality and split test between the product page and the landing page, basically that will have it at play. If you don’t have a service like tiny.ie what you can usually do is you basically need to create new ad within your ad set. That’s what you need to do if you want to swap the link. Once you have the ad running, you can’t really change the link especially the shop now link you can’t change the call to action link. Your other question is about when to use power editor. I personally used to love the power editor but the ads manager start to do a lot of things that the power editor can do so now I’ve been using the ads manager a lot more. However the power editor can be faster when you are setting let’s say 20 different ad sets and you’re duplicating the things. Those bulk features, uploading and updating and everything will be great for power editor. Foe me, I use ads manager now because they have similar functionality anyway. If your audience is too small, you don’t need to flex it down. You only flex it down when you have a wide audience. Like let’s say that you’re going after towards your ad that’s going to be a pretty big audience, it’s going to be most likely over a million. If that’s the case you have to flex it down, learn other keyword or interest targeting to make it smaller. If you already found interest targeting that is basically already in the 500,000 mark then leave it there, you don’t have to flex it down. That’s what I would tell you to do. I really hope I answered all these questions for you guys and really helped you guys for your business. Obviously, I’m going to shift gear right now. Let me ask you guys one thing, in the comment box right below in Facebook and on YouTube, tell me what you guys think about today’s daily huddle. I want to get some feedback from you guys. If you are watching the replay, don’t be shy comment right below tell me what you guys think. If you love this video put in the thumbs up. I’m going to try to start answering these comments in my YouTube channel and also my Facebook at the same time. I’m trying to be more proactive in answering, as you guys all know I am swamped with a lot of text all the time. Anyway, I’m going to do my best to answer some of the questions or comments that you guys have so make sure you comment right below on YouTube and Facebook about today’s daily huddle. At the same time, make sure you give me the thumbs up. for those of you who signed up for the Rich Dad Summit. Here’s what I want you to do, put in the word EXCITED into the comment box on Facebook and YouTube and when you have accomplished that go find your order receipt for the Rich Dad Summit ticket. Now, I’m going to actually do it one more time and again whoever got selected, you only have 24 hours to get back to me. You have to email my team of your receipt and information to support@iforacademy.com to confirm that it was you before I basically say and honor it. You have 24 hours. If you don’t contact us within 24 hours, I apologize we’re going to move on and find the next person. Anyway, let me see some love symbol coming in from Facebook first. Give me some love symbol on Facebook, so I can see a flood of them pouring in while I’m making this draw. If you are on YouTube make sure you put in the thumbs up for me. That’s what I want. Alright, I got one in my hand right now. Here’s what we’re going to do. The first letter is going to be H. Keep the love symbol pouring as I basically going through to share with you guys who is going to be the next winner. H is the first letter; the second letter is going to be P. The third character is a 4, so it’s HP4 right now. Anyone that has an HP4? Put in a 1 into the comment box, so I would know that it maybe you. The fourth character is a W so HP4W. The fifth letter is a G for girl. So right now we have HP4WG and then the letter is another W. So it is HP4WGW and M. Right now we have HP4WGWM. Take a guess on what the last letter is going to be and write it into the comment box. With that, that is it for today guys. Email your order receipt to support@hyperacademy.com and let us know and you have to attach your order receipt to verify that it is you. Other than that listen that is really it for today. I’m leaving to get off and be prepared for an amazing workshop just for my Zero Up members. I apologize if you guys are missing out on it. It’s going to be fantastic. I look forward on seeing you guys tomorrow and it’s probably going to be at night around 9 Pacific and midnight Eastern. That really helps out for those of you who are on the other side of the world like in UK.